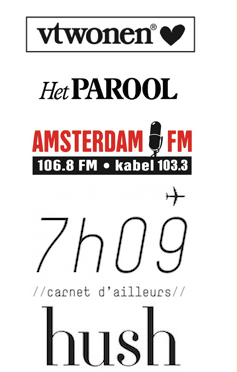 Amsterdam City Guide APP 'AMS NXT"
From November 26 our app will be no longer available in stores, thank to everyone who purchased our app over the last years! With our App you can now take the Amsterdam Next city guide on the go or prepare your trip in advance. With only a few days in town it is always hard to decide what to do and what to see, or even to remember where that one amazing store was located you visited before! 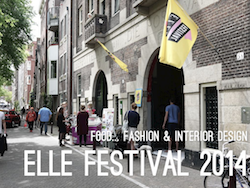 And whether you’re new in Amsterdam or have been living here for years, there are always new hot-spots to discover. Getting frequently asked for the latest hotspots in town, I started writing guides and blogging about the city years ago. 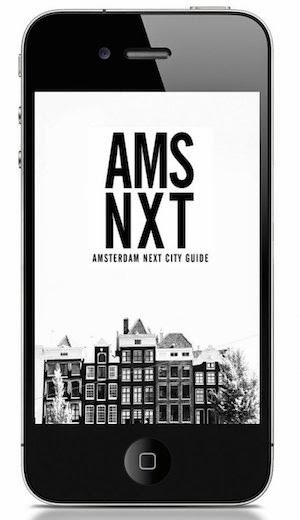 From a few tips by email, a page full of addresses and the Amsterdam Next blog and city guide, releasing te Amsterdam city guide app AMS NXT is a new step on a journey I really enjoy! Being born and having lived in Amsterdam my whole life I truly am in love with my hometown and I hope using the app you will get the most out of your visit! The AMS NXT App divides the city into districts, allowing you to discover as much of the city as you want in a particular day. Only here for a few days? Pick a few different city area's, and get the most out of your visit! The app will show you you exactly where to find all my favourite locations, the timeless classics, as well as the hottest new concept stores, and must-see designer stores in every district, and where to grab coffee or lunch in between. Prefer to do your shopping topic-based? 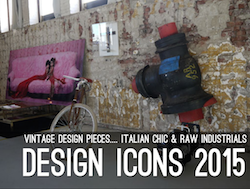 The app offers a collection of highlights, based on certain themes like Concept stores, Industrial design, Dutch design, and must-see designer stores to shop for yourself, your family, and your home. Be sure to check our Facebook page or Instagram through the APP for the latest events. And if you still have any questions you can always contact me by email or through my social media through the site or the App! What makes this app extremely user friendly for those who are unfamiliar with the city's sometimes confusing lay-out, the app offers different city maps for every district and every store, which makes it easy to plan your route, or see exactly where you are.